Wall detailing can brighten the well-designed rooms of your house. 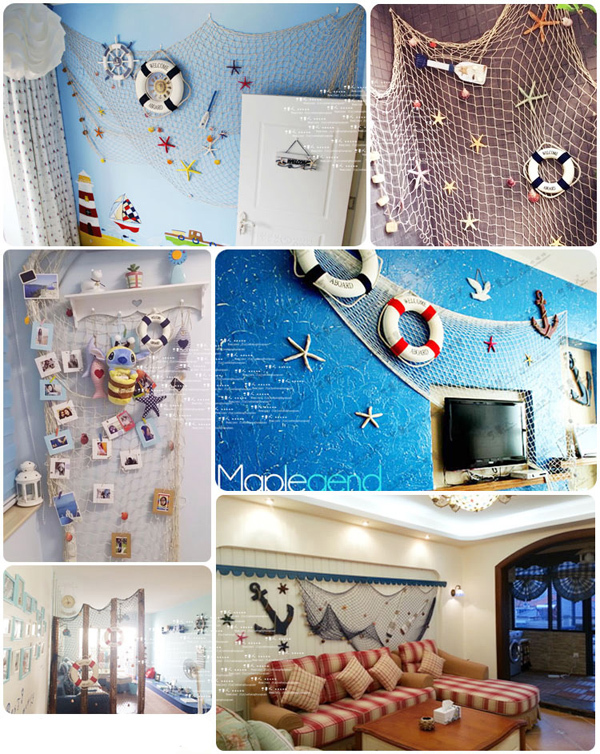 Since there are many wall decorations for people to select: wallpaper, photo frame, wall stickers, etc. however, do you think they are a little normal to your house? If you are still seeking the special and vivid wall decor for the blank walls of your house, maybe you will be interested in the item I am going to recommend next. Well-designed rooms are mostly generated from surprising imagination. 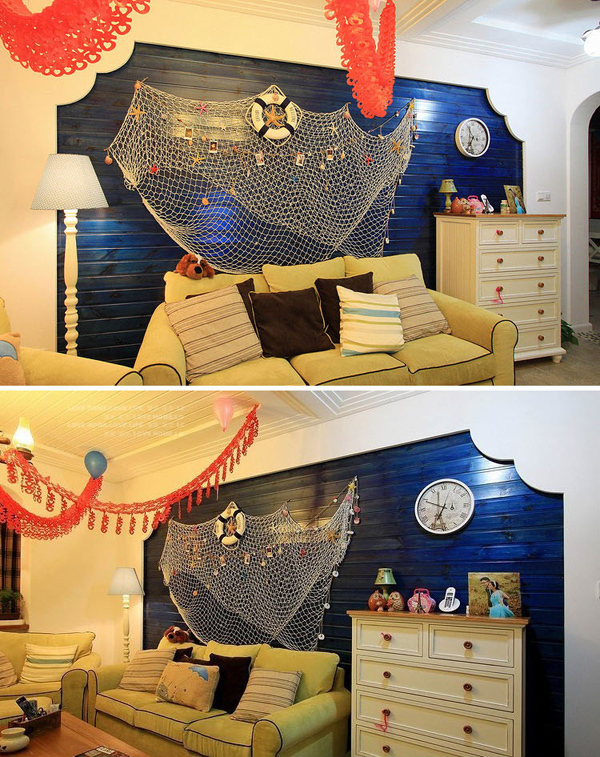 Inspired from the Mediterranean Sea, real fish net with shells is just the one special wall art decor I want to talk today. The decorative fish net is full of strong Mediterranean Sea amorous feelings, no matter in what season; fish net can always remind you of the sea, fresh air, amorous wind and freedom. 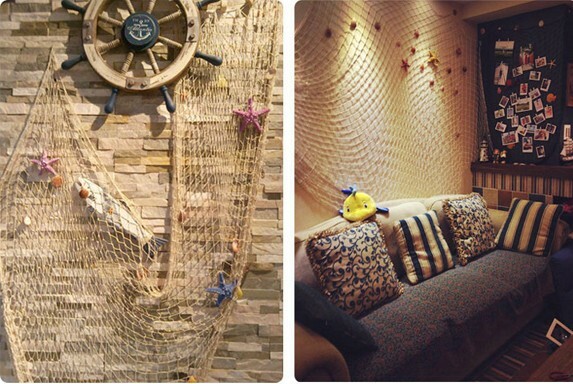 More than that, not like wall stickers, decorative fish net can create a 3D view naturally, as the shells are natural, it can easily give you a lazy and romance mood. Meanwhile, if you add some bright color of starfish, conch, life buoy will bring better effect. There are two colors of the net, white and blue. Generally, white is a classic color which can go with any color while blue is suitable to go with light color walls. 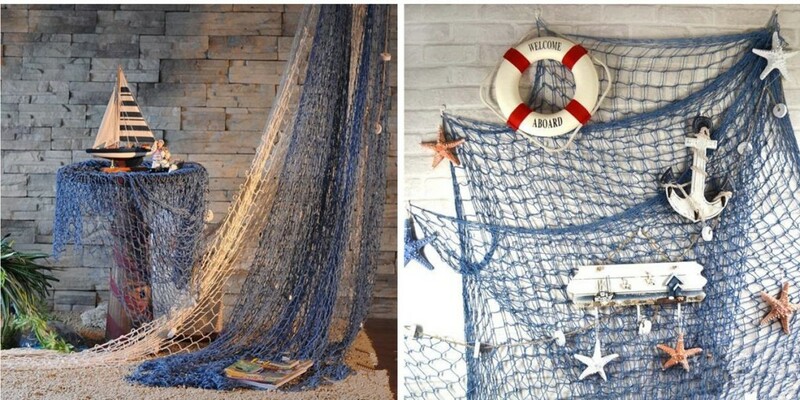 Besides, it is not just a hanging decoration, add some photos on the net and it can be a new style net frame on walls. Bedroom and living room are perfect to hang the net on. 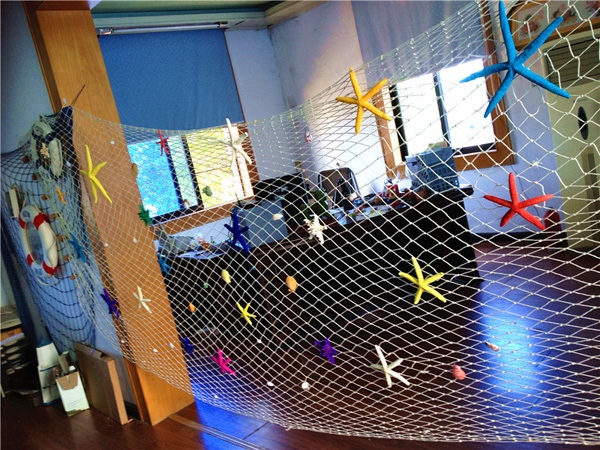 The biggest features of this fish net are: durable and removable. Not like wall stickers, which are in fixed positions once you use them. Only if you want, fish net can change its positions as well as the shape. I think this kind of hanging decoration is amazing. Sometimes, we should try special and surprising things, do you think so?